The promo flyer says, “Come out for an evening of Treason! Murder! and Mystery! There have been many inconsistencies, myths, and un-answerable questions about the Great Gunpowder Plot of 1775. 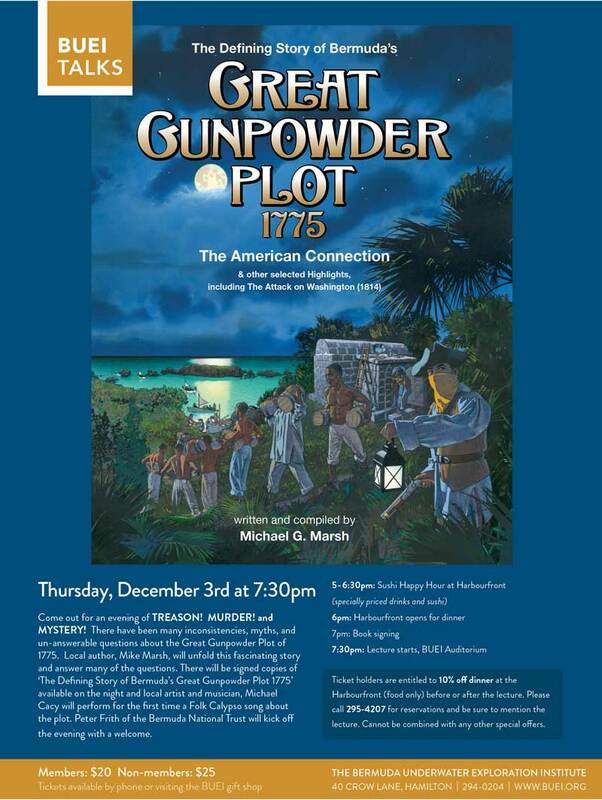 Local author, Mike Marsh, will unfold this fascinating story and answer many of the questions. Tickets are $20 for members and $25 non-members; with tickets available by phone or visiting the BUEI gift shop. Not about that event… but definitely always loved that rhyme!